I’m a big fan of tax competition because politicians (i.e., stationary bandits) are far more likely to control their greed (i.e., keep tax burdens reasonable) if they know taxpayers have the ability to shift economic activity to lower-tax jurisdictions. 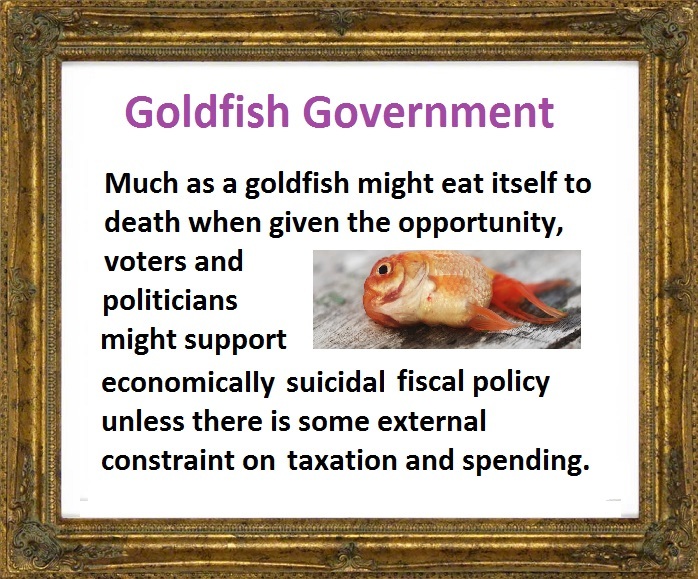 For all intents and purposes, tax competition helps offset the natural tendency (caused by “public choice“) of politicians to create “goldfish government” by over-taxing and over-spending. In other words, tax competition forces politicians to adopt better policy even though would prefer to adopt worse policy. I’ve shared many real-world examples of tax competition. Today, let’s augment that collection with a story from Indonesia. Indonesian presidential candidate Prabowo Subianto will slash corporate and personal income taxes if he comes to power, part of a plan to compete with low-tax neighbors like Singapore in luring more investment to Southeast Asia’s biggest economy. …While he didn’t disclose possible tax rates, he said the aim is to lower them “on par with Singapore.” Indonesia currently has a top personal income tax rate of 30 percent and a corporate tax rate of 25 percent. Singapore has a corporate tax rate of 17 percent and a top individual rate of 22 percent for residents. “Our nominal tax rate is too high,” Wibowo said in an interview in Jakarta on Wednesday. Tax reform is needed to attract more foreign business as well as to encourage compliance, he said. I have no idea if this candidate is sincere. I have no idea if he has a chance to win. But I like how he embraces lower tax rates to compete with low-tax competitors in the region, such as Singapore. The story, from Bloomberg, does include a chart that cries out for some corrective analysis. First, there are vast differences between Singapore and Indonesia. Singapore is ranked #2 by Economic Freedom of the World while Indonesia is only #65. And the reasons for the vast gap is that Indonesia gets very low scores for rule of law, regulation, and trade. Moreover, while their scores for fiscal policy are similar, Singapore’s good score is a conscious choice whereas Indonesia has a small public sector because the government is too corrupt and incompetent to collect much money. But this brings us to the second point. Tax collections are low in part because people don’t comply. 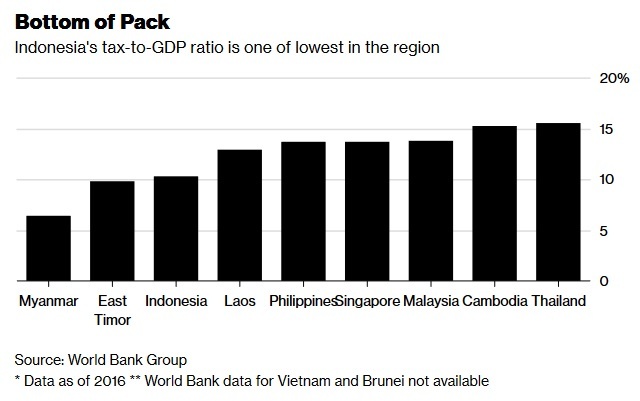 Indonesia has one of the region’s lowest tax-to-GDP ratios of about 11 percent and a poor record of tax compliance. But that’s a reason to lower tax rates. The bottom line is that I hope Indonesia adopts pro-growth tax reform but there are much bigger problems to solve. P.S. Since I’ve been comparing Indonesia to Singapore, look at how the OECD and Oxfam made fools of themselves when comparing Singapore to other nations. I have no idea if this candidate is sincere. I believe strongly that this candidate isn’t. While this might be a skeptical thinking, for me who have lived in Indonesia since birth, many people who move up to be a governor candidate in Indonesia tend to offer “interesting” proposal without prior investigation of the impact and further. The people here dont even really know about the governor candidates(Especially legislative candidates). I myself stand to oppose against the plan of lowering the tax rate because it will cut up great amount of state revenue and the plan itself doesnt effectively correspond with the goal of increasing the welfare of the Indonesian people.